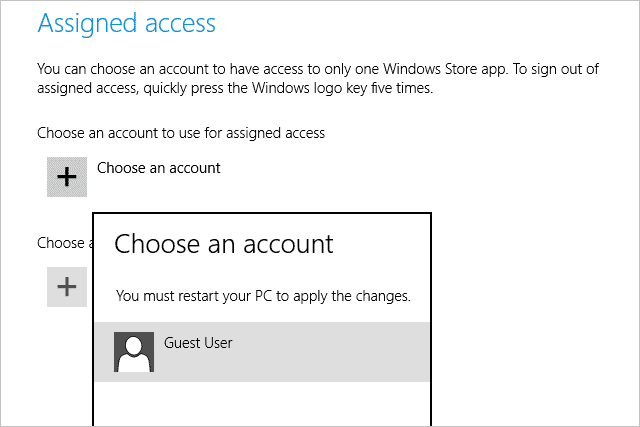 Assigned access is a feature in Windows 8 that gives a standard user account access to just one Windows Store app. Not only can the user can’t download additional apps, they can’t even open other programs or navigate away from the app. 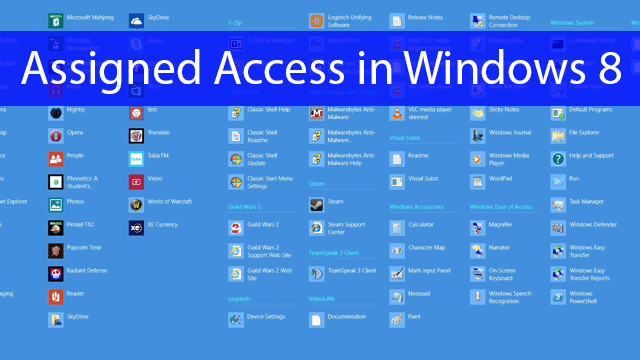 Assigned access is easy to setup as it’s done from the PC settings section of Windows 8. 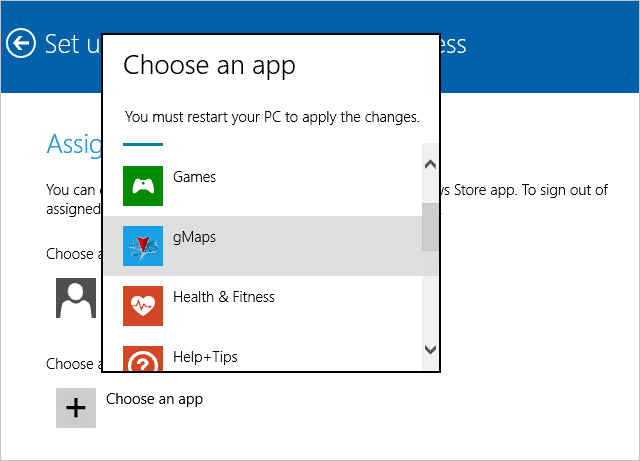 Just select an account to use with the assigned access feature, choose a Windows Store app, and then reboot the computer. Follow along as we set up assigned access for a user in Windows 8. If you need further instructions for creating a new account, please continue reading along with our article on Creating User Accounts in Windows 8. Once the account has been created, log in to it and install a Windows app that the user should have access to. Now select “Choose an account” and select the standard account. Now choose an app the user should have access to. Now the logged in user can only access the app chosen from the assigned access section above. You must press the Windows key five times to log out – there is no taskbar, so there isn’t a start menu to use for logging out or shutting down. Dual screen setups can bypass the function of assigned access. If you open Windows Explorer on the second monitor, the assigned app will shutdown, and you can use the computer normally, accessing all the other apps and files. This bug may be fixed with a Windows update, but we haven’t seen any updates come along that have addressed this. Only one app can be chosen for assigned access. If any other apps were available, the feature would need access to the Windows desktop, which would negate the entire function of this feature. Despite the things I’ve just listed above, the feature is great for single monitor setups. There is no need to enforce any stricter restrictions on an account when we can give it access to just one app. This is a great way to manage an account for a child or employee. Next articleWindows XP Retirement Nears – Are You Prepared to Keep Your PC in Good Shape?